Delaware Governor, John Carney, is once again attempting to lead Delaware down the lane, chasing the pot of gold, at the end of the rainbow. The drawing above, is of a waste to energy plant, I will get back to this a little later. Right now I want to talk about Delaware once again being assaulted by our Governor, in an attempt to sell the state, once again, yes once again, on the idea of offshore wind generation. This is no new and wonderful breakthrough, this has been tried before, oh wait, no it was never really tried, because the State of Delaware allowed themselves to be taken in by a sham. And since then, not a single wind turbine has been spotted off the coast of Delaware. Could that be because NRG runs electric power plants? Ones which use, coal and gas to generate the power? Having NRG buy BWW, is like having McDonald’s buy Burger King. There was never going to be wind turbines off the coast of Delaware. And much like the Fisker tax dollar give away program, instituted by Jack Markell, BWW spent tax dollars, likely received funding from both federal and state levels. Blue Water Wind, was a sham from day one, one in which a company collects tax dollars to do nothing, or as little as possible, until the money dries up, and at the lowest point, NRG swoops in and buys a potential competitor. Take special notice of this sentence from the article, linked to above, “and the two meterological tower leases with the federal government, which are crucial for future financing, according to Murphy and Mandelstam.” Read that as saying, “subsidies”. As I have said, this is nothing new. Back in 2010, I wrote on my old blog site, Politically Frank, https://politicallyfrank.wordpress.com/2010/06/19/clean-energy/ ,about the empty promises of wind power, and if you put the word wind in the search box, and go far enough back, you will find other post as well. As I wrote, way back in 2010, wind energy has very few benefits when you look at the amount of space needed around them, the potential for impact upon animals, and on the wetlands coming ashore. The economic value is in question, if this so-called business cannot self fund through investors, other, than the State of Delaware. If this was a profitable enterprise, investors would be flocking to invest. Instead these so-called businesses seem only to survive on funding and subsidies. Now you may be asking why am I talking about an issue which died a slow death a long time ago? Thank goodness, we have formed a group, to study the impact to the environment, to the local economy, how will wind affect the jobs issue in the state. ALL OF THE THINGS WE DID OVER A DECADE AGO! This release is from the House Republicans in Dover. What are the economic and environmental benefits of developing offshore wind power in Delaware’s coastal waters? 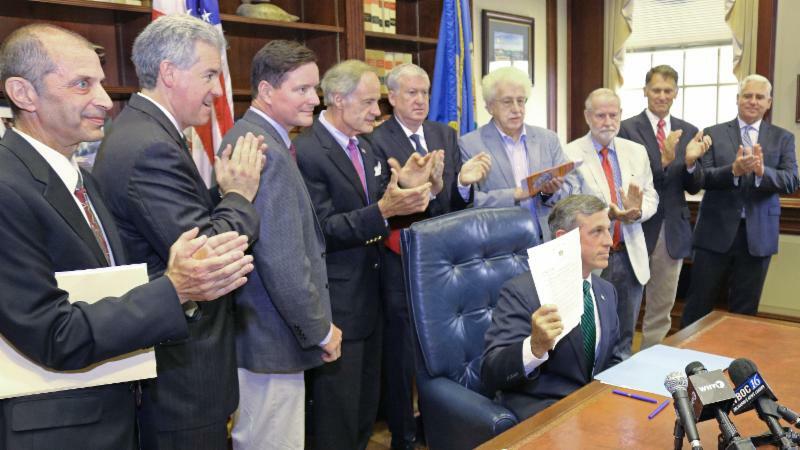 A group formed by Governor John Carney earlier this week with the signing of Executive Order 13 will be working to answer those questions over the coming months. The Offshore Wind Working Group will consist of at least 17 members drawn from state government, higher education, non-profit agencies, and electricity utilities. A significant offshore wind complex was nearly constructed off Delaware’s coast a decade ago. The Bluewater Wind project, as it was originally envisioned, would have sited up to 150 (3MW) turbines in two arrays about 13 miles east of southern Sussex County’s beaches. Derailed by the relatively high cost of the power it would have generated, and uncertainty over the availability of long-term federal tax credits and loan guarantees needed to attract investors, the initiative ultimately died. Dr. Jeremy Firestone, director of the Center for Carbon-free Power Integration at the University of Delaware, said there had been significant advances in wind turbine technology since the failure of Bluewater Wind. He said new, larger turbines that are now available might make such a project more economically viable. Gov. Carney noted that offshore wind power would need to make financial sense while highlighting the environmental aspects of such a venture. “If we’re going to deal with global climate change, we need to put less carbon into our atmosphere,” he said. Department of Natural Resources and Environmental Control Secretary Shawn M. Garvin echoed and amplified the governor’s remarks. 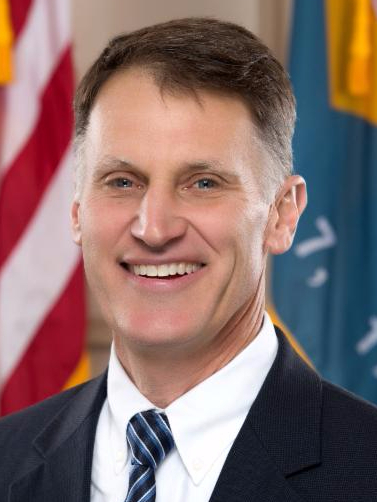 “It is critically important for our state, nation, and world to find sustainable sources of energy,” he said, noting that 11-percent of Delaware would be inundated by the end of the century unless fossil fuel consumption is reduced. So, we see, history does repeat itself. Anyone, want to tell me where John Carney was back in 2010? Don’t all raise your hands at once. That’s right, he was second seat to, then Governor, Jack Markell. No new ideas Governor? Going back to the old playbook? As I wrote back in 2010, there is an alternative to the alternative. Burning our garbage is the only alternative to our energy problems. Unlike other, so-called, alternative energy sources, waste solves more of the issues facing the challenge of replacing fossil fuels. First of all is it renewable, we as people create a never-ending supply of waste. Second, while it does create CO2, the technology has come a long way, to enable the scrubbing. There is also the issue of the waste from the use of waste. The ash pit form of disposing of this bi-product must be transitioned into a more useful form. One which find a use for this product. Of course there are ongoing studies of this. Those are really the two draw backs, which all forms of energy generation suffer from at least two negatives of some sort. Now weigh the benefits. The largest would be the conservation of open space. No need for landfills the size of small cities. All of the heavy metals and nitrates leaching into the water supplies? Removed. Land based, no potential impact upon the ocean or the wetlands, and more easily tied into existing electrical grids. Many more jobs created, blue-collar jobs, to man the plants and haul the garbage, jobs which will continue to exist, and new jobs created as the demand grows. As opposed to say wind, which will create some construction jobs, most likely for out-of-state people with technical expertise in the business. Once construction is done, that number will drop to a few inspectors and routine maintenance crews. Now, this next part may blow your minds. If we institute a real program, to create waste to energy, as a profitable enterprise, we make garbage valuable. Is it possible, one day, the power company would actually pay us for our garbage? Or maybe, at the very least, free trash removal. Think about what you pay for trash removal per month, now imagine what you could spend that on? The extra money would find its way into the economy. Also, people would no longer need to throw their trash on back roads, if the removal was paid for by the energy companies. 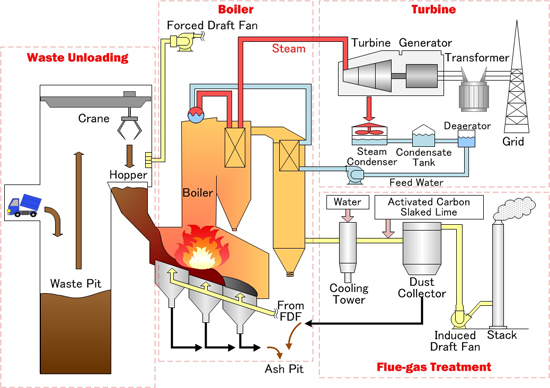 You see, waste to energy has many benefits, many which other “alternative” fuels do not. I will be looking forward, in the days to come, looking into the investors of any company seeking state support for this project, and also of those members of the group, if elected, who their donors are, and who owns what stock in which company. 17 Comments on "More Wind From Dover"
“Some of my constituents are going to worry that a horizon dotted with turbines will send visitors elsewhere. It’s a reasonable concern and one that needs to be taken into consideration.” some idiot said. Most trash to steam plants emit toxins at the same or greater rates than coal fired plants do now. However, there are some greenhouse gas offsets in reducing the amount of methane produced by landfilling. Overall, I think neither off shore wind nor trash to steam makes much sense for Delaware. Air quality would suffer tremendously. Recycling saves much more energy by magnitudes than burning produces. Plus, Trump is rolling back all the EPA clean air initiatives that are the reasons the industry can call the plants something different other than cancer factories. They tried a trash burner, waste to energy, in Delaware in the 1980’s. The plant could not meet the emission standards in place at that time, let alone improved standards of today. Not only are there concentrated heavy metals and toxins in the ash but also corrosives that develope during the burning process that will “eat away” the metals of combustion chamber and duct work. When, not if but when, the gases begin to leak out they are a threat to all workers within the area. There are many drawbacks to trash burners that effect more than what to do with the toxic laden pit ash. I worked there and have first hand knowledge as to why this is a bad idea. To address both Meatball and David Cohee, recycling is a step in the process, recyclable materials are removed prior to burning and sold, again lowering the cost of energy. This means there would be less contaminates in the ash at the end, also David, you say a burner in the 80s “could not meet the emission standards in place at that time, let alone improved standards of today”. You fail to speak of the improvement of the scrubbing technologies. These plants are being used in NJ and I believe in DC. Where one would expect the strictest refs in the nation. There is no perfect alternative, we must way which option does the least amount of damage while delivering the most economical and reliable energy source. Frank, dig a little deeper. Clean trash requires subsides to pay for the scrubbers and ist nearly as cheap as emerging solar and land based wind. Maybe a break even on off shore wind. Okay, meatball, but wind does nothing to remove the garbage from the landfills leaching into our water, nor does solar. Both of which receive subsidies, so in the case of subsidies, that is a push. Also, while solar and wind require the loss of open space, waste to energy would conserve open space. The idea of clean energy is to keep it clean. Nuclear and trash to steam fail in that regard. Really? Tell that to the people of China working the mines to recover the needed materials to build the windmills and solar panels. And what of the bi-products created at the factories, and mills who turn raw materials into copper wire and other components? Waste to Energy removes a bi-product from the eco system, that being garbage. I recall a WGMD regular caller named “Williamsville” who used to call in about trash->power a decade ago. Nothing new. If Enviro-NIMBYs won’t allow a shopping center, a chicken plant or data centers, they’re not going to embrace a trash burner. I would enjoy, however, watching the Enviro-NIMBYs contort over an off-shore windfarm. You know they’ll figure out a way to pull a Kennedy and come off as pro-clean energy while still stopping the turbines going off shore. but you’ve got it all wrong on the history and Carney. The windfarm debate was under Minner, and when Markell came in to office everyone figured it would go forward, except Markell killed it quietly by pushing for the NRG buyout of BWW. The day NRG acquired BWW everyone knew the project was dead. At that time Carney was still unemployed and had asked DEDO for hundreds of thousands of dollars to head up a company that would take shipment of the turbines at the Port of Wilmington. UPDATE: The NRCC blasts Carney. The recent application by DelaWind, LLC for a $350,000 state loan should require more scrutiny from public officials and DEDO’s Pre-Venture Fund Board, given the fact that DelaWind is a corporation headed by former Lt. Gov. John Carney and has been in existence for less than one year. Three hundred and fifty thousand dollars is a lot of money to invest in the development of offshore wind power, an effort that has until now been conducted by the private sector and without the use of taxpayer money. It would seem that this application really lacks sensitivity to State workers who lost 2 ½ percent in pay this year, as well as other Delawareans struggling in this economy. The current Administration promised change instead of the same old political payoffs and “business as usual” in bad economic times. The public might well perceive this proposed use of taxpayer funds as lining the pockets of former officials who are now running for another office. While it may be the view of some, that’s not my definition of “growing a Green economy”. In the past, I have defended the strategic development fund to help Delaware businesses compete with surrounding States, but this particular project is a highly suspicious use of taxpayer money. 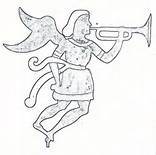 The mere request and the asking of consideration are offensive to the public that takes note. The DelaWind application for a loan of $350,000 from the Strategic Fund was originally on the Agenda for a meeting of DEDO’s Council on Development Finance scheduled for Monday, October 26. Interestingly, since I inquired about the application, it has been removed from that Agenda, but now may be shifted to DEDO’s Emerging Technologies Pre-Venture Fund Board agenda for its’ meeting the very next day, Tuesday, October 27. I hope this Administration sticks to its promises of transparency and withdraws this application promptly. If this thinly veiled political pay back for a former Lt. Governor and current candidate is approved, you can rest assured more of our hard earned tax dollars will be funneled to politicos rather than businesses which truly make a difference in the lives of Delawareans. Pretty funny coming from former State Senator Joe Booth, who took a created just for him $100k/year work from home job himself. A future with waste burning plants, methane wells in land fills, and solar fields are the most sustainable forms of electrical generation. The energy companies can continue to operate within their current business models, less post process material will be left to deal with, and the need for more skilled workers will help drive the industry. Yes, and Booth lost his primary precisely because he took that 70K job. Unfortunately, Democrats weren’t smart enough to take that page out of the Senate 19 playbook and elected an unimaginative tax and spend hack for Governor who will drive the state into the ground. Frank I’m not disagreeing with your overall point about wind power, in fact i share much of your skepticism. But I’m not sure than burning trash removes it from the eco-system as much as it changes its state within within the ecosystem – i.e. supplying it with energy (heat) converting it from a physical state (a piece of trash) and releasing gases from it. These released gases are still within the eco-system. Windy, as for the time line? You are aware, who Governor Minner’s Lt. Governor was, don’t you? Mike, waste to energy, preserves free space, thus removing piles, yes mountains of physical garbage from the eco-system. This is a benefit. There is no 100% answer to clean fuel, at this time. This is why we must look not for perfection, but for best answer. Solar and wind impact the environment during the production of the hardware, through mining and manufacturing. They both require open space be converted to unusable space. So on this issue of open space and impact on the eco-system, WTE gives you a benefit and a drawback, while wind and solar, give you two drawbacks. I don’t support windfarms. Have you ever seen how much hydraulic oil sprays out of the blade shaft when the seal goes? Trash to energy is good. Chester pa has been doing this for quite awhile. Also recycling is a waste of money. It’s just not financially responsible. China has stopped buying our cardboard saying it’s contaminated. If no private sector company wants this technology theirs something to learn from this. 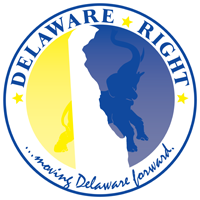 Fellow delaware residents please stop electing these idiot progressives or the state will end up like the one you moved from to escape high taxes and burdensome regulations.